What Are Some Animals in the Semi-Arid Desert Biome? 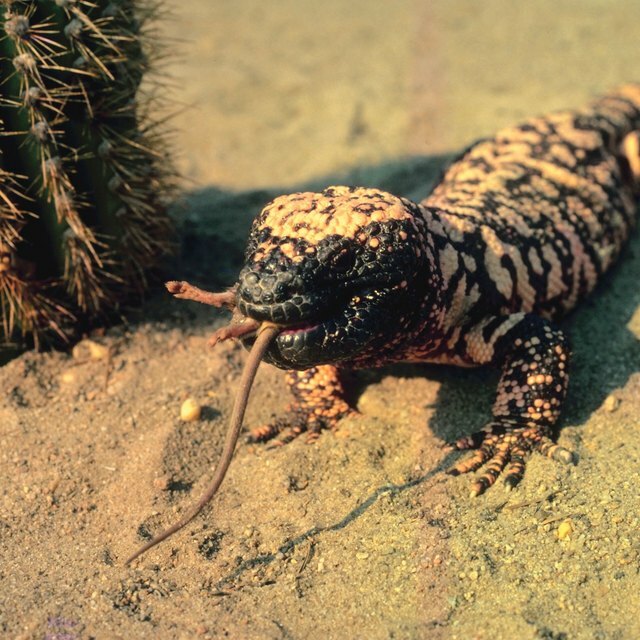 Right here in the United States, desert-dwelling animals have made it to the endangered species list. From the deserts in California and Nevada to Arizona and Utah, Amargosa voles and even a type of fish – the desert pupfish – are listed as endangered species due to loss of habitat, climate change and drought. Human activity, such as recreational off-road vehicles, have contributed to the loss of some of these desert animals' habitats. Threatened animals are added to the endangered list when any of the following factors are met: threatened habitat, human activity that imperils the animal, disease and predation, inadequate regulatory protections, or other human-caused or natural events that threaten the animal’s survival. Amargosa voles, Peninsular bighorn sheep and desert pupfish are three of the endangered species. The Amargosa vole is a desert mammal that lives in rare wetland marshes of the Mojave Desert. This desert covers parts of southeastern California, Nevada, Arizona and portions of Utah. Added to the endangered species list in 1984 by the U.S. Fish and Wildlife Service, the vole is being bred in captivity by scientists and vets at the University of California, Davis to save it from extinction. As a small mouselike creature, it has short ears and tail with fur that varies from dark brown to dishwater blonde. The voles weigh about 1/8 of a pound and are only 8 inches long. They live in the Amargosa Valley in bulrush marshes on the Nevada side of the Death Valley. The U.S. Fish and Wildlife Service identified and listed the Peninsular bighorn sheep as endangered in 1988, and a plan for the recovery of the species was put in place in 2000. These wild sheep are recognizable by their large horns that dip below and circle their ears on the sides of their head. They are typically smaller and slenderer than their northern counterparts. The reasons they are endangered include habitat destruction, human disturbance, livestock grazing, disease, predation and construction for trams, trails and roads. Located in the Salton Sink basin of the Imperial Valley in southeastern California, desert pupfish typically live in springs, slow-moving streams and seeps near the Salton Sea. With a life span of from one to three years, the desert pupfish is a small fish no more than 3 inches long. Breeding in March through late September, female pupfish lay about 50 to 800 eggs. They can live in water temperatures up to 108 degrees Fahrenheit, but with the introduction of non-native predatory species, desert pupfish were added to the endangered species list in 1986. Natural populations of this desert fish occur in shoreline pools near the Salton Sea, irrigation drains, freshwater ponds, and creeks and washes that feed into the Salton Sea. The U.S. Endangered Species Act allows for the institution of recovery plans to help an endangered or threatened species to recover and thrive. Scientists, biologists and other animal specialists create plans that include site-specific actions necessary for species recovery, such as habitat protections, measurable criteria that help determine results, and a budget and timeline for the species recovery. Because of such recovery plans, the American bald eagle was removed from the threatened and endangered species list in 2007. What Is Being Done to Save the Sand Cat? Brenner, Laurie. "List of Endangered Animals of the Desert." Sciencing, https://sciencing.com/list-endangered-animals-desert-7299045.html. 17 April 2018.